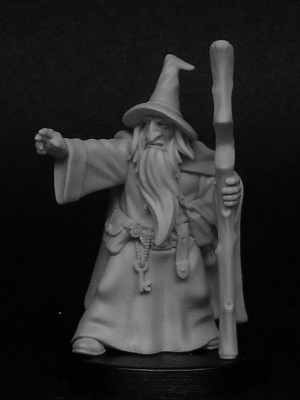 Here's the Wizard 3D print for my questing warband! I've already shown the renders for this figure and I think you can see how good the quality of the prints are by comparing these images with the renders. 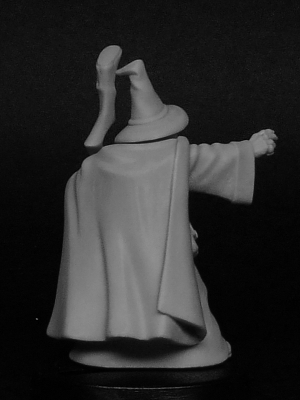 I've also made a couple of minor changes for the cloak since my original blog post. It's always interesting to see how details that look quite chunky and over-simplified become really nice, crisp detail on the print. That's why I'd prefer not to show renders in preference to photos of prints or castings. 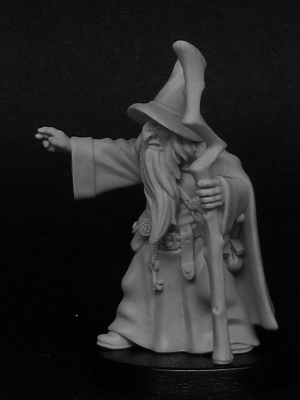 Digital sculpting for miniatures in this respect isn't as intuitive as hand sculpting. 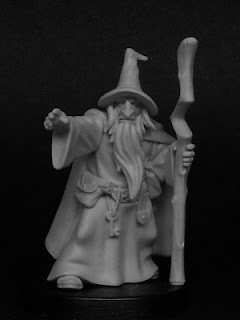 The sculptor always has too remember the final size of the print and I have to say I see a lot of renders of 3D sculpts that I know are simply not suitable for miniatures manufacture due to excessive, tiny details. 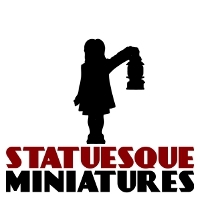 Would anyone be interested in alternative parts for these figures? I'm thinking I could sculpt 'leveled up' parts- the wizard could get a new head and staff, the barbarian a new sword and perhaps a shield in his other hand, the elf a new bow and the dwarf a new axe and shield. Each part could represent a special item found on a quest or an advancement of the character. p.s. I don't know why Blogger insists on lightening the images! wow, yes "leveled" up upgrade kits are a very interesting idea, either to have more than one figure in the same warband, or to make a more unique figure.